For those heading on China holidays, here’s our list of 10 amazing things to do in China, many of which we think you thought you could never do! Okay, so the Great Wall is a major attraction in China and one that everyone visits, but most tourists will visit one of the more popular restored sections rather than see the ‘real’ Great Wall because of its location close to Beijing. But imagine hiking for up to six hours on parts of the Great Wall which are crumbling and overgrown with greenery? 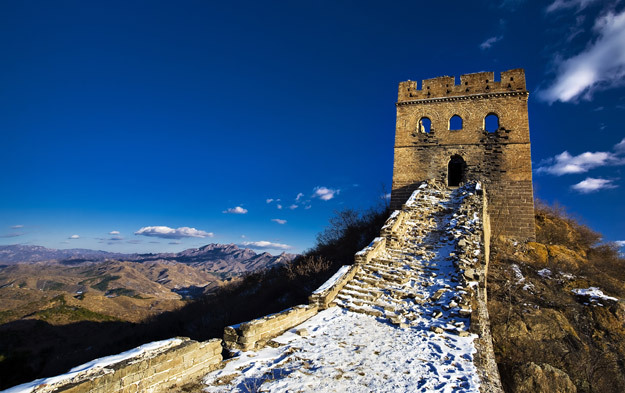 Where there are hardly any people to be seen and you can appreciate the Great Wall’s scale as it snakes along the mountain scenery in your panoramic view. One of the most breathtaking walks that China has to offer, the Jinshanling section of the wall is a must visit for any traveller. You can experience this magnificent trek on our China Discovery Tours. For those who dare, the Brave Man’s Bridge in Hunan province is for all thrill seekers. Hold your breath as you cross its 300m long glass bottom as it joins two cliffs. The world’s longest glass bottomed bridge is also set to open in China in July 2016. Stretching for 430m, it will hang high above the Zhangjiajie National Park. Pandas are China’s national symbol, as well as a key part of China’s animal conservation programme. 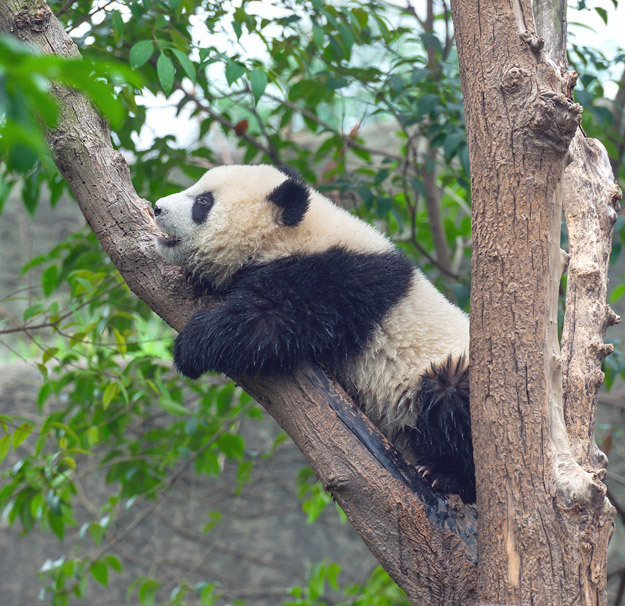 The most famous conservation centre is in Chengdu, where you can see Pandas of all ages roam around large, leafy enclosures that mimic their natural surroundings. There is a breeding programme in place here too. Less famous is the Dujiangyan Panda Base, a 1.5-hour drive from Chengdu. Deep in the valleys of mountainous Sichuan and covering a huge 800 acres, here you can have a go at Panda volunteering, where you can get in close contact with these adorable animals. You’ll feed them, clean their pens and learn about their daily lives. You can also have a photo with a young Panda! Our China Trailblazer tour lets you enjoy this once-in-a-lifetime experience. Located in the north west corner of Yunnan and also known as Zhongdian, this mystical town contains stunning, well-preserved ancient architecture. Best of all, it’s quiet on the tourist trail. 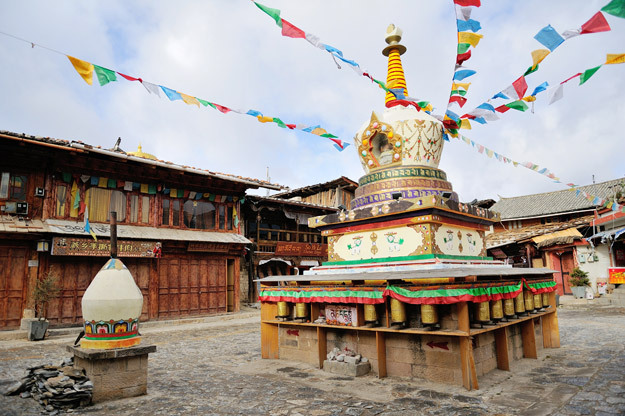 Its strong Tibetan influence from its position high up in the Himalayas lets you step back in time amongst the streets of perfect Tibetan houses with shingle roofs and sloped walls. A visit to Songzanlin Monastery on the outskirts of the town is a must, as well as the surrounding countryside of green mountains and ice-blue lakes. Want to see this magical place? 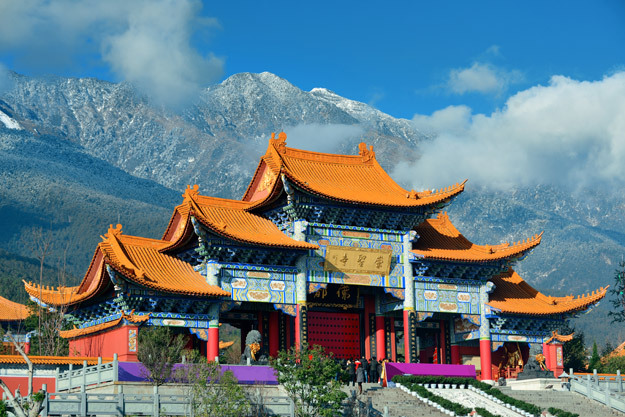 Check out our tour of Yunnan: the perfect holiday for those who have already seen the main sights of China and wish to explore this wonderful country further. Taking place annually in January and February, the Harbin Ice Festival is the largest ice and snow festival in the world. Located around 770 miles north of Beijing, the festival began in 1963 and now boasts some of the world’s largest ice sculptures. In 2007, a Canadian-themed sculpture was awarded the Guinness World Record for the world’s largest snow sculpture, where it used 13,000 cubic metres of snow! 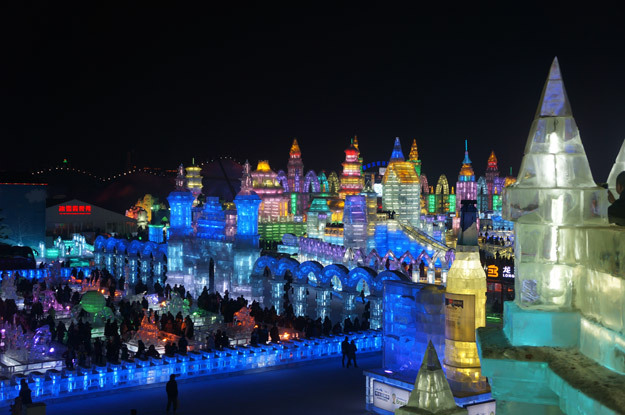 Attracting tourists from around the world, if you’re visiting the Chinese capital in the winter, then consider a holiday to Harbin Ice Festival on your list of things to do in China. You won’t be disappointed. An extensive network of ancient trade routes, The Silk Road evokes tales of adventure and mysticism. Products, religions and philosophies travelled along this route, and its influences can still be seen today in modern Xian. There’s plenty to see along the Chinese part of The Silk Road. 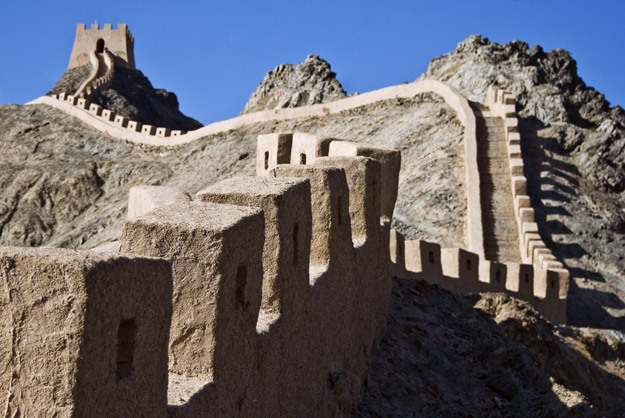 You can explore the Muslim Quarter at the start of the route, the Buddhist temples of Lanzhou, the western extremes of the Great Wall at Jiayuguan, the awe-inspiring Gobi Desert, the sand dunes of Turpan and the famous Sunday Market in Kashgar. For those who have travelled to China before, this is the perfect holiday to see the other side of this country. China is a huge country and whilst most will fly across it, taking a train is a brilliant way to see stunning landscapes and travel with the locals. We’ve written about China’s High Speed Rail before, but the train journeys we are talking about are those which take their time, allowing you to truly appreciate China’s diverse scenery. The incredible Beijing to Lhasa railway is renowned as the highest railway in the world, where it climbs as high as 5,000m above sea level. Much of this wondrous journey is above 4,000m as it crosses the permafrost of the Tibetan plateau, making for excellent views. Another scenic railway is the journey between Nanning and Guilin, where you can see Guilin’s karst peaks rise up dramatically from the ground. Cycling is an increasingly popular sport, and there’s no better way to discover the back roads of a country than by bike. 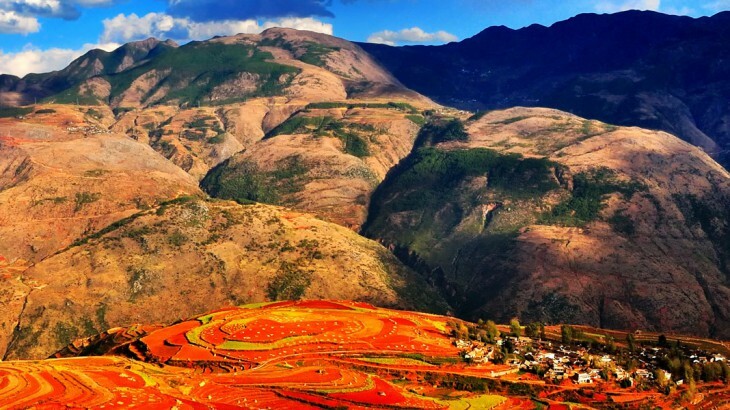 Yunnan province is breathtakingly beautiful and lets you unearth a side of China that you didn’t know existed. A popular cycle route is between the city of Dali to Xizhou Ancient Town, which you can experience on our China: The Big One tour. You’ll cycle alongside picturesque Erhai Lake with its mountainous backdrop. Get your camera ready as you tick this off of your amazing things to do in China list. 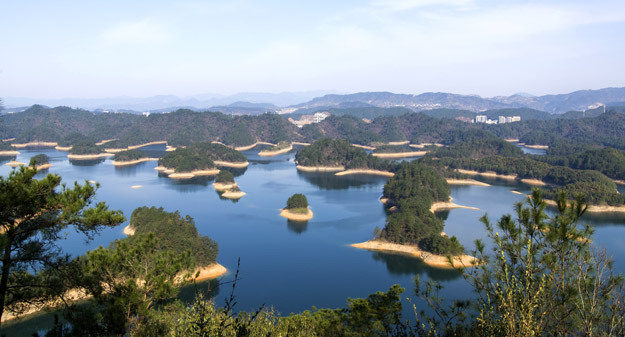 If you like to scuba dive then a great trip from Shanghai is to beautiful Qiandao Lake, where you can submerge into its depths and gaze upon an ancient, sunken town called Shi Cheng which has been frozen in time. Deliberately submerged more than 50 years ago, the town – also known as Lion City – is a sight to behold. As you dive down, you will be able to see its well-preserved city walls including its Lion gargoyles. You can also dive down into streets of wooden houses where furniture can still be seen intact inside. The Big Blue diving company organises a number of diving trips which depart from Shanghai, including to Qiandao Lake. Referred to as the Southern Silk Road, the Ancient Tea Horse Road was a network of routes which wound across the mountains of Sichuan, Yunnan and Guizhou in China before extending towards the Bay of Bengal via Burma or Tibet. It was used to transport tea, salt and Tibetan ponies for trading in the different countries along the route. It’s hard to follow the complete route today, but parts of it still exist between towns and cities. Traversing this route will allow you to absorb China’s nature, history and culture. 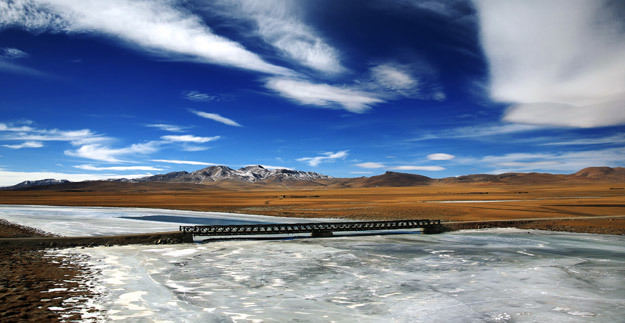 You’ll see deep gorges, sparkling lakes and the vast Tibetan plateau. Book our A China Adventure tour to discover the town of Pingle, which dates back to the Han dynasty and was a key stop on the Ancient Tea Horse Road. So, is China on your bucket list? Thanks for reading our list of 10 Amazing Things To Do In China. We’re sure that you’re now itching to visit this fascinating country. As the UK’s leading China experts, please don’t hesitate to contact us about booking your perfect holiday! 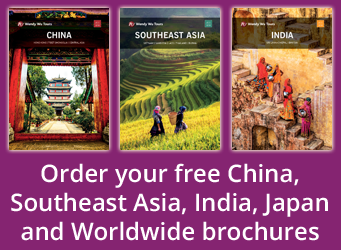 The UK’s leading China Experts, Wendy Wu Tours, can help you plan your perfect holiday to China. Our award winning escorted, fully inclusive China tours visit all the major sights for an unforgettable holiday. 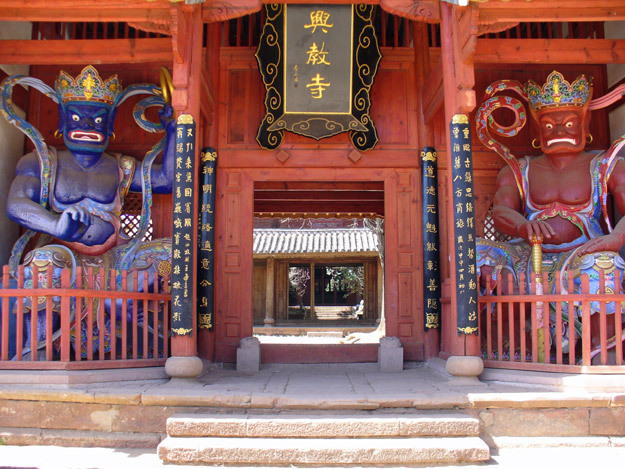 China culture, sightseeing, top things to see, tourism. permalink.